As a result of decades of work, student journalists will now receive first amendment protections like their professional peers after legislation sponsored by Sen. Joe Fain was today signed into law. 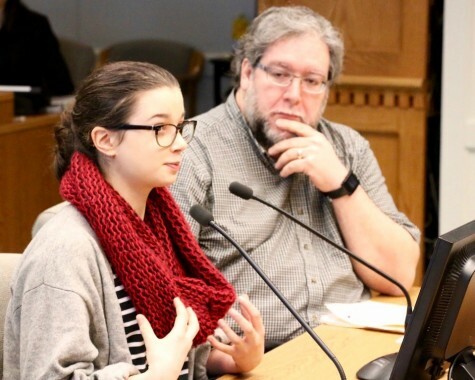 The change makes Washington the 14th state to extend free speech protections to student journalists. 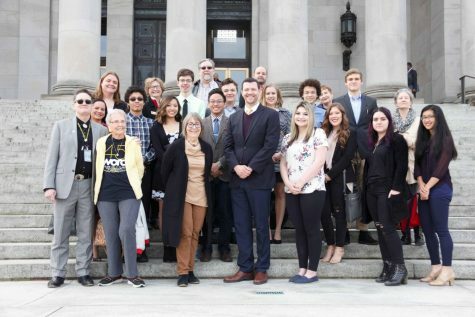 Fain’s bill was supported by current and former student reporters and editors, journalism teachers and free press advocates, many of whom were on hand at the Capitol for the bill signing. 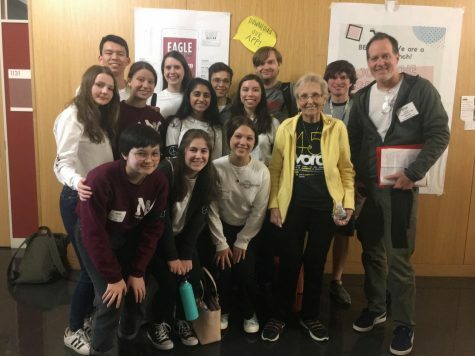 Under the legislation, student editors would be responsible for content, which Fain called appropriate as they learn how to participate ethically and honestly in the conversations of a civil democracy. 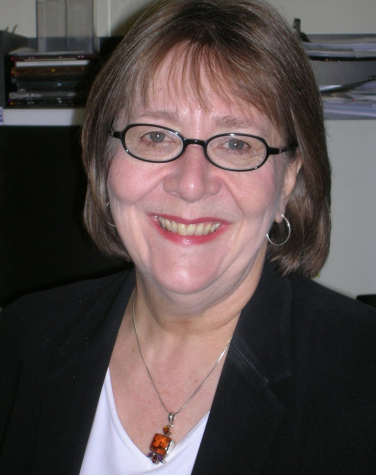 The issue stems from a 1988 U.S. Supreme Court ruling in Hazelwood School District v. Kuhlmeier where the court held that school-sponsored student expression, including school newspapers, did not occur in a traditional public forum and therefore could be regulated. Despite the federal precedent, states have the right to provide greater protections. The legislation previously cleared the Senate in 2017, with it finally earning approval in both chambers this year. 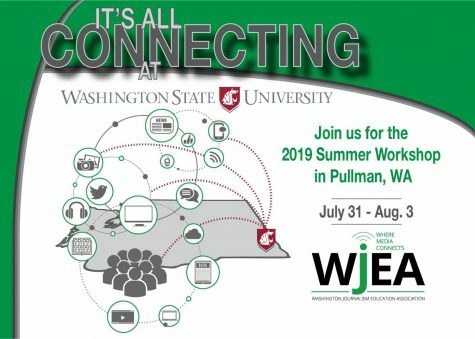 It is modeled off of policies passed by North Dakota in 2015, placing the responsibility on student editors to determine content so long as the content is not libelous, illegal, or would disrupt the educational environment of the school. 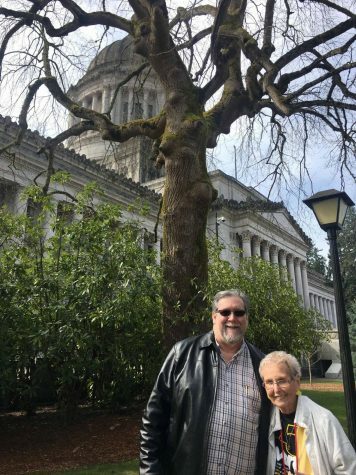 Free speech advocates Vince DeMiero and Fern Valentine stand out front of the Capitol building in Olympia March 21 after Gov. 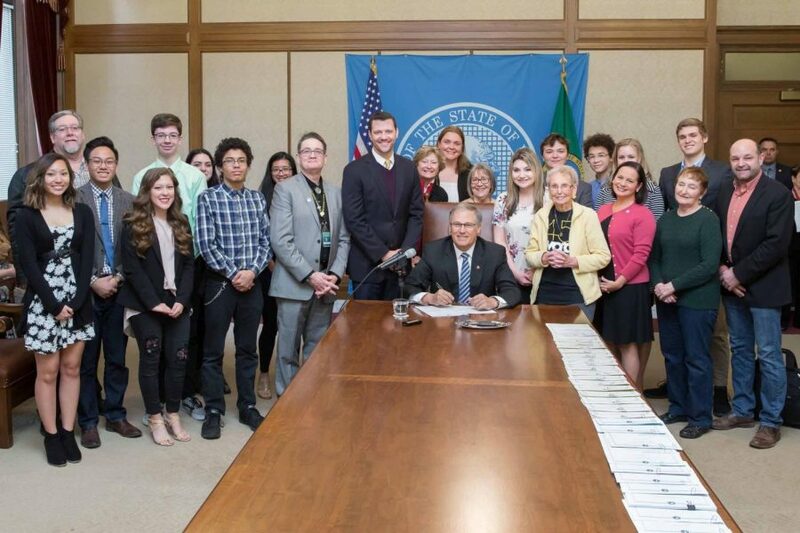 Jay Inslee signed the New Voices bill into law. The legislation goes into effect in June.